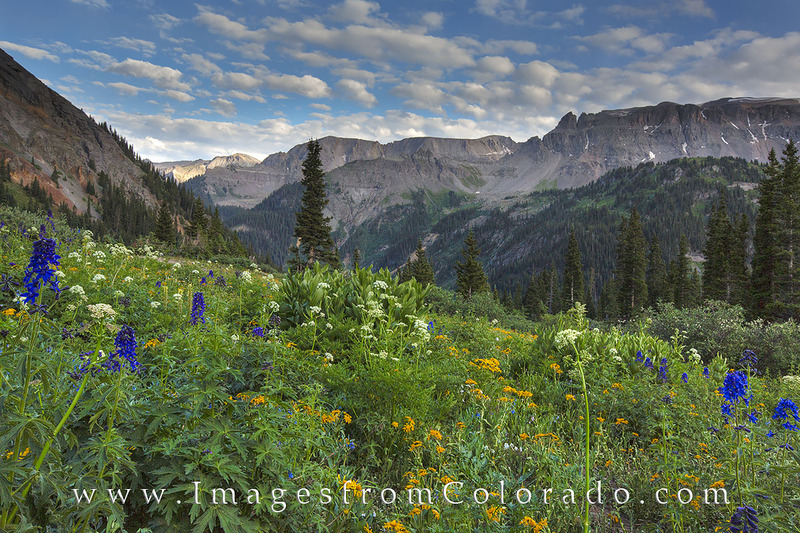 Blue and gold wildflowers colored the grassy slopes of Yankee Boy Basin near Ouray, Colorado, in this summer photograph. After you reach this point, you can park and walk in any direction to explore the blooms and enjoy the rugged peaks of the San Juan Mountains as they surround you in all directions. Photo © copyright by Rob Greebon.